Getting haleem delivered from Hyderabad via Gati is a pain in all the wrong places and I hate it. So when Pista House arrived in Chennai, I was beyond happy. But is it the same thing? I went to the Royapettah outlet with a friend to try them out. They've set up a stall and a small make shift space to eat. With big posters of Charminar, I'm not sure if it is supposed to evoke the feeling of eating in Hyderabad. Nope, it doesn't. 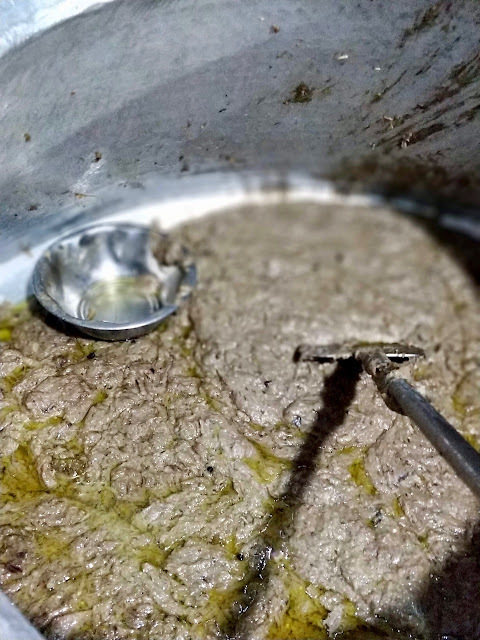 But serving the haleem out of a super large vessel inside an oven looking space is clearly selling. You might even think it is being cooked out there. Let's get something out of the way. 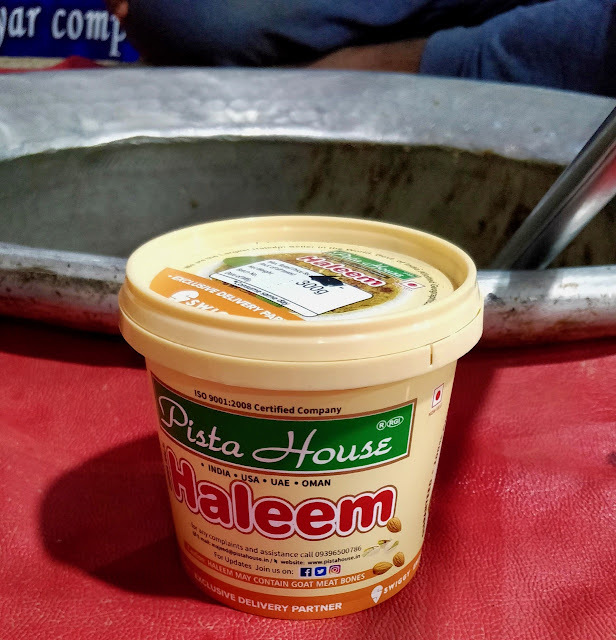 Pista house haleem has bones in it. Mutton haleem in most parts of Hyderabad do too, so it is not uncommon. In fact, in Hyderabad, if there are no bones, more often than not they are made with beef. So if you're judging it by the bones, sorry, you're not going to like it. But the haleem is definitely among the best you get in Chennai. 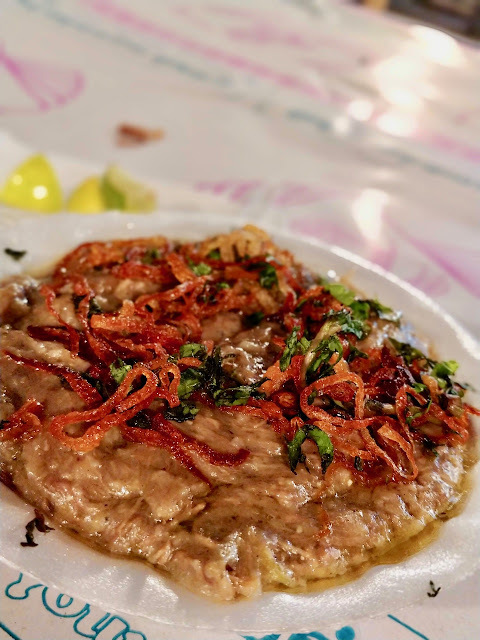 With a generous portion of fried onions on top, the haleem was almost sold out by the time we finished eating there. But the spice levels and the ghee and everything together certainly lacks the punch that you get from the Pista House in Charminar!